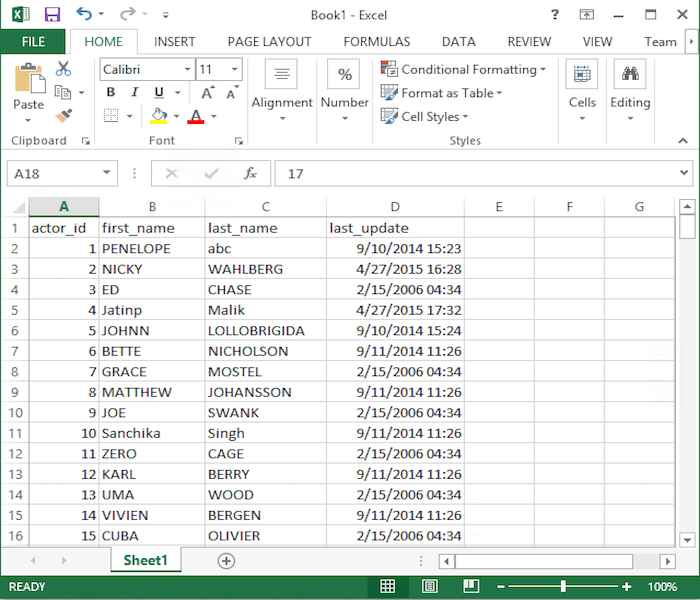 Copy Cell Data To Clipboard... to copy only the selected cell value to the Clipboard. Copy All Rows To Clipboard... to copy the entire resultset data to the clipboard in CSV format. Copy Selected Row(s) To Clipboard... to copy only the selected portion of the resultset data to the clipboard in CSV format. Duplicate Current Row... to duplicate only the focussed row of the resultset data as a new row in Table Data. You should not worry about auto_increment columns (SQLyog willl handle that automatically) but all other CONSTRAINTS - such as UNIQUE KEYS - will need to be handled by user. Just edit the row appropriately before saving it. 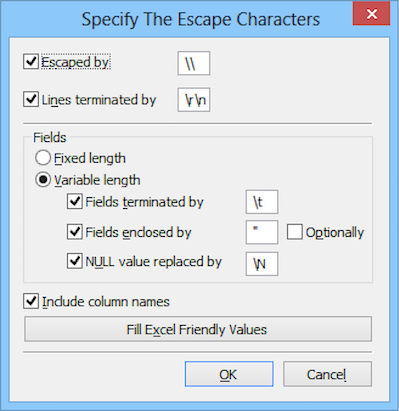 For the two options - 'copy all rows to clipboard' and 'copy selected row(s) to clipboard' a dialog will appear where you can specify technical details for rows (Escape Characters and Line Terminator Characters) and fields (Fixed Length, if used, or Terminators and Enclosers, if field length is Variable). 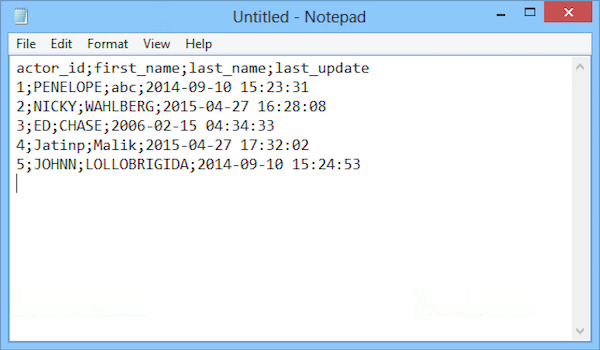 Here you can also specify if Column Names must be copied to the Clipboard together with the data. Use the button Fill Excel friendly values if you wish to copy your data from the Clipboard directly to an Excel workbook or to a file which will be then opened in MS Excel.